Marketing technology is now an incredibly complex and diverse ecosystem of vendors and products. In fact, the 2015 edition of Brinker’s “Marketing Technology Landscape Supergraphic” includes 1,876 marketing technology vendors across 43 categories. 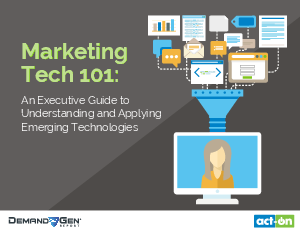 Our guide will help you cut through the clutter and complexity of the marketing technology landscape so you can make better decisions about where and how to plan your technology investments.